If you don’t know what Connor Prairie is, you don’t know what you’re missing. You see, it’s one of those ‘ye olde’ historic villages. You know, the places where people dress up, show you how to churn butter, talk in funny voices, and make you touch cows and throw axes at stumps propped up as targets. So when I got a call from Danielle telling me this was going to be the location of her wedding, I was totally there. I realized that this place was going to be awesome. 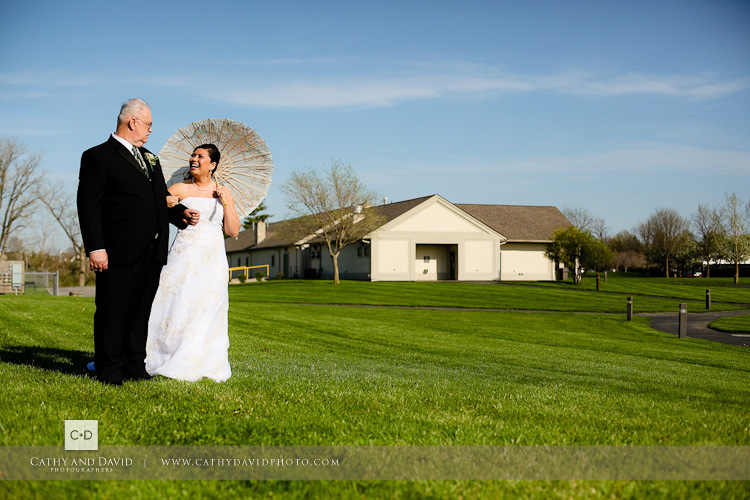 An outdoor wedding, with a slightly asian theme, because of Danielle’s heritage, and a couple hundred of their close friends and family. 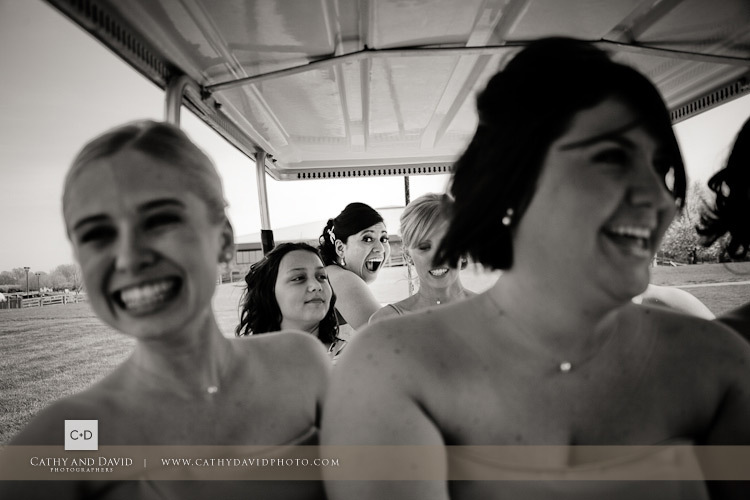 Danielle was by far one of the happiest brides we’ve worked with. 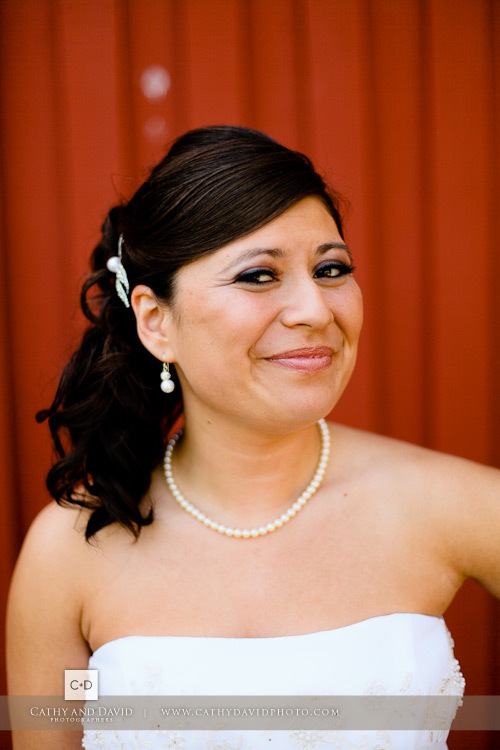 Every time we talked to her she would tell us how excited she was about her wedding, she’d tell us how much she was loving the photos on our blog and would go on and on. We loved every minute of it. The wedding day was no exception. Danielle was completely bonkers over marrying Lucas, and every chance she got there was this look of absolute happiness. She was never nervous or tense, only anxiously pumped and wanting to be married already. After the salon we took their formals, and got ready for the big day, which was unseasonably hot beyond belief but thankfully a strong wind picked up moments before their wedding and cooled everyone off. I was crouched down behind the bridesmaids when the whole day caught up with the both of them. Completely teary eyed they tried their best to get through their vows but had to stop every so often to catch their breath and try and keep it together. It reminded me a bit of our wedding, and I caught a glimpse of the huge grin on Cathy’s face watching them trying not to lose it, and from then on had a permanent smile. By the end of the night, when the bouquet had been tossed, the cake eaten and the last dance had been danced (and one of the best DJs we’ve had the pleasure of working with) we realized that this had been one of the best. We once again realized how lucky we are to get such sweet couples and their super-cool families. Anyways, we hope you enjoy their wedding pictures as much as we loved taking them. Thanks for reading! – David. Lisa Whalen - Cathy’s fav is my fav, too 🙂 I can really see the connection between Danielle and Lucas in the images you posted! Gloria N. - Absolutely LOVE em’! You guys are amazing, and I love seeing your work! Everything looks so fantastic, great captures! Anna (& Braden) - fantastic umbrella goodness with the lovely bride and her lovely girls! I still love the details you guys get, like the high-heeled feet of women on the dance floor. swoooon. I’m so excited that wedding season is back in swing – less than two months until ours! Lori Herrin - I am sooooo glad wedding season is upon us once again, having serious withdrawls as I so look forward to seeing new photos you guys take and reading the stories that usually gets me teary eyed. To make matters worse, was gone when the blog first came out and had to wait to until Sunday to see it. I know I’ve said it before but you guys are amazing on the images you capture on your camera. It always blows my mind how you capture each and every special moment. LOVE all the pictures! They are fantastic! I try to no longer look at the photos through “Mom’s eye” but try to imagine what the bride and groom are thinking when they look through them. 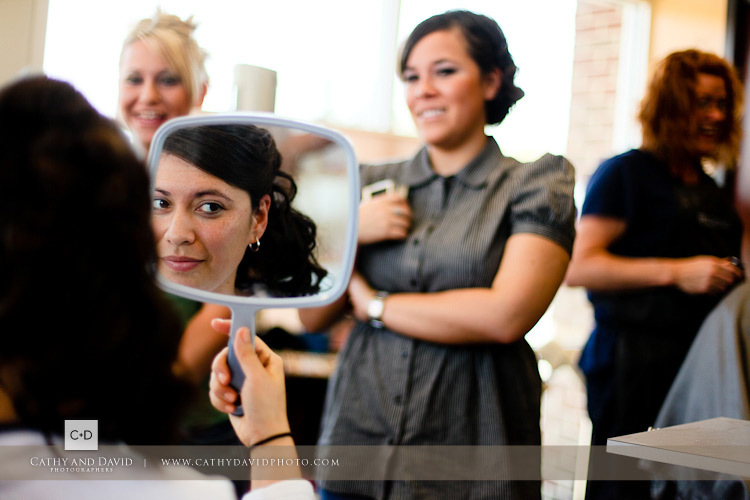 I think this brought much laughter, much tears, and oohs and aahs as they scroll through the photos and then you get to the slideshow and since I’m being to wordy already, I’ll just say that they’ll say WOW!!!! Dave - Great stuff you two! Amanda WIlcher - Go you guys!!! The best yet! I juuuust looked at the slideshow. Kim Gustin - Awesome photos! I look forward to seeing more of them. Danielle and Lucas are very special and you’ve captured that with these timeless photos taken in a place that is known for freezing time. I would refer anyone to you. I would like to have some of your cards to give to my cake clients. Look forward to seeing any photos you did of our cake.